President Maithripala Sirisena has ordered relevant authorities to extend the borders of the Wilpattu National Park and declare it a ‘Wildlife Zone’, by a gazette notification. 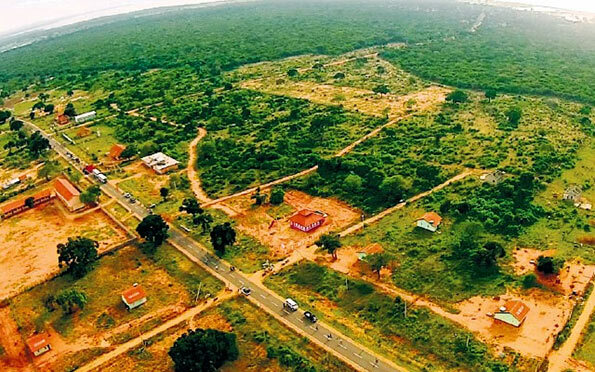 He told the officials to include all the adjacent forest areas of the Wilpattu National Park that presently does not coming under the Wildlife Department. He made this directive at a special meeting at the Presidential Secretariat with the Heads of institutions affiliated to the Mahaweli Development and Environment Ministry. The President also instructed that a mechanism be implemented to consistently monitor all forest areas including Wilpattu from the above, using the latest technology. President Sirisena asked officials to strictly implement the law against forest clearing irrespective of the positions of those who involve in such offenses. He also requested the Judicial Services Commission to fully implement the penalty and jail sentence applicable to forest clearing and felling of trees. He advised officials to dispatch a team of experts to investigate the issues and submit a report on the allegations of deforestation in the Mannar and Puttalam districts, including at Wilpattu. The team will comprises of officials of Environment Ministry, Wildlife Department and Forest Conservation Department, representatives of environmental organizations and journalists. The President also asked that lands away from forests is used for resettlement in the future.